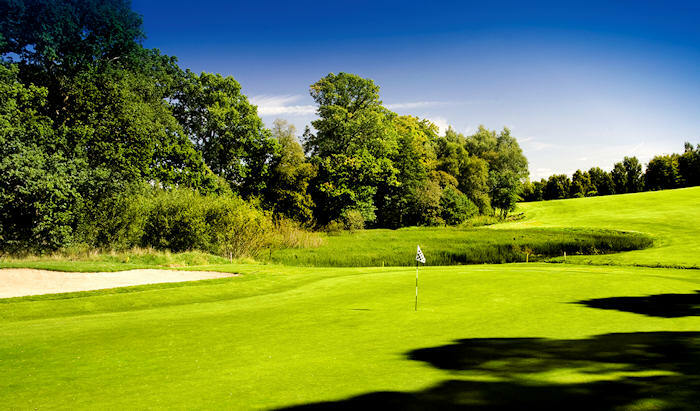 Dougalston is a real parkland treat measuring 6,120 yards and with beautiful tree-lined fairways, natural water hazards and stunning views over the Campsie Fells, you’ll find it hard to believe that it lies just a ten-minute drive from Glasgow. The par-71 course, which is of championship standard, was designed by Commander Harris in 1975 and is set in the heart of 300 acres of beautiful woodland. He made excellent use of the natural woodland to create mature tree-lined fairways, while incorporating water features on several holes to give them considerable beauty. As soon as you head out onto the course, you’re greeted by one of the many water hazards that can be found. The first requires a tee shot over a large pond, although by all means get the driver out and lash one over the trees towards the green. Pull that shot off and you could get off to an eagle start. 18th – What better way to finish your round than a stunning par-3? That’s what awaits here at Dougalston – but it isn’t all plain sailing, with water on the far right and bunkers on both sides of the green.